One is a general claim of verification of details within the Book of Mormon with reference to the New World. This we will leave aside. 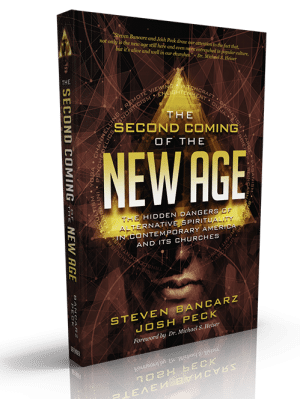 Two are of an eschatological nature declared yet to be fulfilled, which may be counted as fair in that the same affirmation may be made of certain Biblical prophecies. Of those remaining number claimed to be fulfilled, Lindsey tells us that “the record is impressive and cannot be explained away as lucky guesses.” Is this the case? We will critically examine each of these in turn. We will look at these “specific details” shortly, but for the nonce, what of extrapolation-making as an explanation? Lindsey does not provide any evidence that “hardly anyone seriously thought that civil war would erupt” (which would be justified, by example, by sufficient quotations from sources dated in the early 1800s to the effect, “This will not result in war…”) and does not offer detail on those who left the church. But the evidence would suggest rather that indeed, such extrapolations could and would have easily been made by Smith or any other astute individual. James McPherson in Battle Cry of Freedom offers a summary of conditions prior to the Civil War that contributed to it and exacerbated tensions. Even prior to Smith’s prophecy, it would not have been difficult to foresee a war coming. McPherson notes that there were a number of expected dividing lines as the country grew in the period from 1800-1850 (rich/poor, Catholic/Protestant, rural/urban), but the “greatest danger to American survival” at this stage was the question of slavery. Why? Because slavery was associated with competing ideals that just happened to also have geographic associations. The generation that fought the Revolution made slavery illegal north of the Mason-Dixon line (except in Missouri). South of that line, the slave trade became “essential” to the economy and culture; north of that line it was not. North of the line, the Second Great Awakening spurred revival and slavery became recognized as a moral evil under the impetus of a refusal to accept perceived Calvinist predestination and a recognition of the equality of peoples; south of the line, slaveholders denied they were sinners and instead taught that slavery was needed for economic good and to keep black people from degenerating into barbarity. So serious was the division that McPherson writes that the slavery issue “would probably have caused an eventual showdown between North and South in any circumstances.”  Exacerbating the rivalry were several other social factors: for example, in the 1840s the wealthiest 5% of the population in the cities owned 70% of the taxable property — and most cities were in the North (and the North was draining wealth from the South, having many more votes in Congress). In the countryside the top 5 % of free adult males owned 53% of the wealth and the bottom half owned 1%. One may well ask, in defense of Smith, why a war did not occur sooner if all of this is true. In reply we might note that there was much to keep the rivals occupied and unified. The two sides still had the same language, the same government, the same legal system, and the same overall religion and heritage. A war with Mexico in the mid-1840s encouraged a putting aside of differences, at least practically speaking. The advent of the Industrial Revolution, the expanding frontier, immigration (which sometimes directed hatred other ways) and wavering economic conditions meant that most had better things to do than to dislike their neighbor. The institution was so contrary to what he argued were desirable values that he predicted a conflict that would result in the destruction of slavery. And Mormons might consider that one reason why Joseph Smith and the Saints were driven out of their locales in Missouri, in 1838-9, was because they were suspected of being favorable to abolition of slavery. 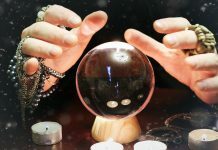 In short, there is some doubt for Lindsey’s proposal that Smith’s predictions could not have been the result of a perceptive mind rather than prophecy. Now of course we would acknowledge that the same reasoning could be used, for example, of Jesus’ general prophecy of Jerusalem being destroyed. Much of what Jesus said would have been “common sense” in light of the Roman eagle hovering overhead and the usual tactics of war for the period. So our analysis, even if it shows that Smith’s observations would be compatible with those of a merely and sufficiently astute observer, would not by themselves disprove any prophetic ability if all of the predictions came through perfectly; it would only admit a viable, naturalistic explanation. However, let’s have a look now at those details. One wonders whether we should have expected so much from statesmen or scholars in the first place. Statesmanship and scholarship, done in accord with the tendencies of those institutions, would refrain from such bold words for fear of inflaming passions, and such sentiments would have been especially inappropriate during the 1840s with the war against Mexico. Yet the steps from “rivalry” to “war” are not large ones. McPherson notes a Georgia newspaper in 1846 that favored slavery in California and New Mexico because it would “secure to the South the balance of power in the Confederacy, and, for all coming time….give to her the control in the operations of the Government.”  That’s a polite way of saying we’d rather take over than war. “And it is further ordained, that it shall not be lawful for any of the constituted authorities, whether of this State or of the United States, to enforce the payment of duties imposed by the said acts within the limits of this State; but it shall be the duty of the legislature to adopt such measures and pass such acts as may be necessary to give full effect to this ordinance, and to prevent the enforcement and arrest the operation of the said acts and parts of acts of the Congress of the United States within the limits of this State, from and after the first day of February next, and the duties of all other constituted authorities, and of all persons residing or being within the limits of this State, and they are hereby required and enjoined to obey and give effect to this ordinance, and such acts and measures of the legislature as may be passed or adopted in obedience thereto. Given this history, which of the Southern states would you suppose would thumb a nose at the Union first? I must therefore conclude that the selection of South Carolina as the instigator of the war did not require any special insight. The history and nature of the state made it a logical and intuitive choice. Beyond this it may be objected that even the rebellion of South Carolina could hardly be made into a threat against the entire Union, but as we have shown, the temper for such a rebellion was already firmly in place and would not be difficult to surmise. It would cause the death and misery of many souls. Once a prophecy of war is granted, “death and misery” tend to follow! Lindsey points to 400,000 deaths, and rightly so, yet this prediction would be fulfilled even if only 50,000 had died. As such I cannot see that this point would require any special insight, for it is vastly confirmed by the history of war in general. The Southern States would be divided against the Northern States. As noted above, this sort of polarization was to be expected. The Southern States would call upon other nations for assistance, even upon the nation of Great Britain. The south did call upon Britain and other nations, but would this have required any special insight to determine? I cannot say so. There would be no more natural ally to appeal to than Britain, with its great navy, common language, and trade partnership with the South. Great Britain would call upon other nations for assistance. At this point Lindsey becomes a little vague. “Great Britain, as I recall, also encouraged France to assist the South.” I do not see how this would equate with Britain “calling upon” other nations. (This was like America “calling on” France in the Revolutionary War at best. )Some LDS apologists relate this to World Wars I or II. Christian apologists object, but in fairness, one might note that Christian apologists (myself no longer included) often state that Ezekiel’s Tyre prophecy was finally and fully fulfilled only a few hundreds years ago. On the other hand, it is stronger to point out that chronologically the prophecy suggests that this will happen before a slave uprising. War would eventually be poured out upon all nations. Lindsey finds this also fulfilled in the World Wars, and in the scale of wars and destruction since the time of the Civil War. Is this a prophetic insight? Perhaps, but it is in tune with the insights offered in Revelation, with which Smith was presumably familiar. We cannot admit or discount that any accuracy, perceived or otherwise, was the result of a prophetic insight. …”after many days” slaves would rise up against their masters. Lindsey relates this to perhaps “[u]prisings of repressed peoples in many Communist nations and other authoritarian states” noting that such uprisings seldom took place in the Civil War era. One would have to accept a rather broad definition of what constitutes a “slave” and a “master” and argue that it could be applied to the political realm. As such I find this application questionable at best. The remainder of the prophecy is seen by Lindsey and most Mormon apologists as yet to be fulfilled. 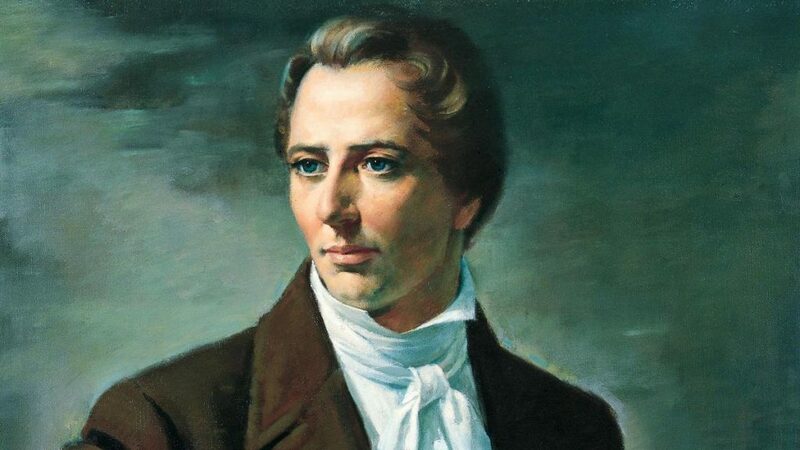 In sum, I find little here to suggest that Joseph Smith was gifted with any unusual prophetic insight here, although with much of this prophecy in the “yet fulfilled” category it is not possible to be categorically too harsh without compromising certain orthodox prophetic positions. The few points that are fulfilled with certainty would be easily drawn from the politics and society of the day. With the next prophecy we enter into something of a gray area, one which can admittedly cover some Bible prophecies. Certain prophecies Lindsey cites, one could arguably say, are cases of persons striving to fulfill a word by Smith. Now none of this would guarantee the success of the word given, and that applies especially in this instance. Zion shall flourish upon the hills and rejoice upon the mountains, and shall be assembled together unto the place which I have appointed. However, Roberts’ description offers something of a bias. As McPherson reports, the Mormons were but a few out of thousands in the 1840s who sold their property and headed west. The sense of “manifest destiny” drove them; and what drove the Mormons to Illinois in the first place was persecution. Prediction of a need to flee would have required no special prophetic insight; it was merely a case of repeating what had happened before (and would happen again). As noted, as well, this could be reckoned as a prophecy fulfilled by desire (amplified by the ample persecution the Saints endured, which drove them into three different states before this). Certainly being aware of this prediction, the Mormon faithful would make the Rockies their target. The only aspect of the prophecy that they lacked any part of control over was the “flourishing” aspect — that was not entirely out of their hands, however; and the range of qualification to be called “flourishing” is substantial. Once again, we would note that the mundane nature of this prophecy by no means automatically disqualifies a possibility of genuine prophetic insight, for predictions of blessings upon Israel might be regarded as quite as general. But it does raise the sense that one would need a more precise, and less likely, sort of prediction to assure us that Smith possessed prophetic insight. The ends of the earth shall inquire after thy name, and fools shall have thee in derision, and hell shall rage against thee; While the pure in heart, and the wise, and the noble, and the virtuous, shall seek counsel, and authority, and blessings constantly from under thy hand. And thy people shall never be turned against thee by the testimony of traitors. 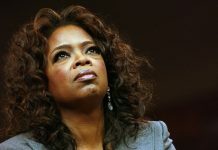 And although their influence shall cast thee into trouble, and into bars and walls, thou shalt be had in honor; and but for a small moment and thy voice shall be more terrible in the midst of thine enemies than the fierce lion, because of thy righteousness; and thy God shall stand by thee forever and ever. If thou art called to pass through tribulation; if thou art in perils among false brethren; if thou art in perils among robbers; if thou art in perils by land or by sea; If thou art accused with all manner of false accusations; if thine enemies fall upon thee; if they tear thee from the society of thy father and mother and brethren and sisters; and if with a drawn sword thine enemies tear thee from the bosom of thy wife, and of thine offspring, and thine elder son, although but six years of age, shall cling to thy garments, and shall say, My father, my father, why can’t you stay with us? Fulfilled? Arguably, yes. Prophetic? Perhaps, but the range of options is not particularly great. It was hardly likely that Joseph’s family, if previously in sympathy with him, would abandon him as the result of a clearly unrighteous imprisonment, and generally, the prediction of the sort that one’s life will not be in danger, despite present circumstances, is typical of optimism that might be expressed by anyone in danger without being regarded as prophetic. On this account I would refer the reader to my item here and the supplement on Mormonism. Lindsey adds that “the prophecy about future imprisonments and persecutions was accurate. 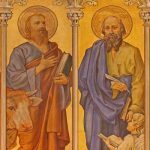 Joseph would be killed 5 years later by conspiring enemies of the Church while he was held in another prison, Carthage Jail in Illinois.” Fulfilled, indeed, but not easy to claim as necessarily prophetic. Given the manifest hatred of certain groups for the Mormons that had already been experienced, this would not have been difficult to intuit. 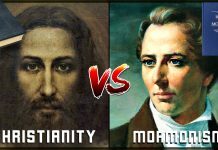 Here again one cannot bypass the potential conclusion that this was a prophecy within the power of the Mormons to fulfill. Beyond that, one might question whether the Saints were indeed “out of the power” of their old enemies, being that within the next 10 years the government sent troops to Utah. Later an uneasy peace was established, and Lincoln’s indifference gave the Saints the start of a respite from government interference. Technically the prophecy was fulfilled, but the range of time and possibility left open tends to diminish any claim to special prophetic foresight. “I prophesy in the name of the Lord of Israel, unless the United States redress the wrongs committed upon the saints in the state of Missouri and punish crimes committed by her officers, that in a few years the government will be utterly overthrown and wasted, and there will not be so much as a potsherd left, for their wickedness in permitting the murder of men, women and children and the wholesale plunder and extermination of thousands of her citizens to go unpunished, thereby perpetrating a foul and corroding blot upon the fair fame of this great republic, the very thought of which would have caused the high-minded and patriotic framers of the Constitution of the United States to hide their faces with shame. Judge, you will aspire to the presidency of the United States; and if you ever turn your hand against me or the Latter-day Saints, you will feel the weight of the hand of the Almighty upon you; and you will live to see and know that I have testified the truth to you; for the conversation of this day will stick to you through life.’. . . The description sells Douglas a little short. As shown from a page now defunct, Douglas was accomplished for his age even when Smith met him: “on the assembling of the legislature, although not yet twenty-two years of age, he was elected attorney general, an officer who then, in addition to his other duties, rode the metropolitan circuit. His opponent was General John J. Hardin. Still, Smith’s insight does seem a bit precise, doesn’t it? After all, weren’t many men just as bright as Douglas? Yes, but Smith here matches the feat of Jeane Dixon, who told Ronald Reagan in 1962 he would be President. Gary Bauer also claimed a similar “premonition” about Reagan, and Bill Clinton’s mother, who proudly declared that her child would one say be President (see here), and George Bush, who predicted that “W.” would make President. Does this prove that Smith was just as insightful as these folks? “In modern American usage, “government” typically refers to the entire system of governing a nation, so we tend to imagine national anarchy when we someone speaks of our government being overthrown. But “government” can also refer to the political party in control or to the group of officers in power. In Britain, for example, “the government” is frequently dissolved and changed, meaning that the party in power changes, without genuine anarchy or disruption of the method of governing. This is indeed quite creative, but if Smith was speaking purely of a political party, how does that jive with a reference to there not being a “potsherd” left? What evidence is there for the word “government” used in this way in Smith’s time? It is also hard to see how “the government” could have ever equated with the anemic Whig party, which managed only two Presidencies (William Henry Harrison in 1840, who died after 1 month in office and was replaced by a Democrat, and Zachary Taylor in 1848) and had only existed for 9 years before Smith made his prophecy. The Democrats at the time were the true power, with the Whigs a sometimes strong second. It is noted that this found fulfillment in the Civil War era, when, under the rubric of an “Order No. 11” severe devastation was inflicted upon Jackson County. “Within days, the Union commander of the border district, Gen. Thomas Ewing, issued his famous Order No. 11, intended to rid the Missouri border of Confederate sympathizers who had harbored and fed the guerrillas for years. Guilty or innocent, all residents of Jackson, Cass, Bates and parts of Vernon counties — unless they lived within a mile of Kansas City, Independence or any of three other military posts — were ordered to leave their rural homes within 15 days. No matter where they lived, those who could not establish their loyalty to the satisfaction of Army authorities — like Mattie Lykins and 63 other Kansas Citians — had to leave the district entirely. Execution of Order No. 11, later depicted by George Caleb Bingham in his famous painting of the same name, caused unprecedented hardship. Refugees fled in haste, some burying their valuables before leaving. By the end of August, two-thirds of the population of the border counties was gone. So many homes were burned by Union troops that people spoke of the blackened chimneys as “Jennison’s monuments,” after the hated jayhawker. The reader will have to judge whether the quality tone of Smith’s prophecy fits the events described. Jackson County’s quick and ambitious recovery, and the application of the Order to other counties, seem, counter-intuitively to me at least, somewhat out of line with Smith’s harsh words. This did indeed happen, but it is open to question whether it was as spectacular a prophecy as might be imagined. As Lindsey acknowledges, the accusations against Smith were false; the leading militia officer opposed the plan to kill Smith, and the other officers were afraid to perform the execution and wanted to take Smith to another county to make the charges and do the deed. Lindsey describes this situation as “grim” but it is hardly easy to pull off such a conspicuous illegal execution, and with the leading militia officer opposing it and with the complexity of the plot growing (and therefore making the risk of exposure more likely) it would not be hard to predict or perceive that an execution was not in the cards. We cannot categorically state that this did not involve prophetic foresight, but there is little reason that it had to. In D&C 5:11-13, Smith predicted that he would find three witnesses for his golden plates. He did round up three men who affirmed that they saw the plates, and though some of these three later left the church, they never denied seeing the plates and having heard the voice of God concerning them. As this involves certain internal LDS apologetic proofs beyond our present scope we will leave examination of this prophecy aside. The next appeal is to the “word of wisdom” by Smith in D&C 89 which prohibits alcohol, tobacco, and black tea and coffee, while giving advice about the use of grains and meat. Lindsey compares this to the “food pyramid” of the modern USDA and asserts that Smith anticipated modern health warnings against tobacco. “In 1602 an anonymous author published an essay titled Worke of Chimney Sweepers (sic) in which it was stated that illnesses characteristic in chimney sweepers were caused by soot and that tobacco may have similar effects. This was one of the earliest known instances of smoking being linked to ill health. 1683: Massachusetts passes the nation’s first no-smoking law. It forbids the smoking of tobacco outdoors, because of the fire danger. Soon after, Philadelphia lawmakers approve a ban on “smoking seegars on the street.” Fines are used to buy fire-fighting equipment. 1699: LOUIS XIV and his physician, FAGON, oppose smoking. 1761: HEALTH: ENGLAND: Physician John Hill publishes “Cautions against the Immoderate Use of Snuff” — perhaps the first clinical study of tobacco effects. Hill warns snuff users they are vulnerable to cancers of the nose. 1761: HEALTH: ENGLAND: Dr. Percival Pott notes incidence of cancer of the scrotum among chimneysweeps, theorizing a connection between cancer and exposure to soot. 1830s: First organized anti-tobacco movement in US begins as adjunct to the temperance movement. Tobacco use is considered to dry out the mouth, “creating a morbid or diseased thirst” which only liquor could quench..There are other records as well of nations and states recognizing tobacco’s addictive properties and outlawing its use. In China its use was punishable by decapitation! Bans on public smoking were common in the US, Europe, and elsewhere. So we can see that opposition to tobacco was “in the air” and based on sound medical knowledge rather before Smith had his say.What about the sparing use of meats? “Famed philosopher and mathematician Pythagoras encouraged vegetariamsm. While wishing to avoid animal cruelty, he also saw the health advantages a meat-free diet. 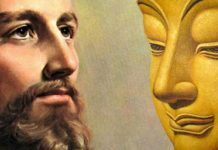 Pythagoras viewed vegetarianism as a key factor in peaceful human co-existence, putting forward the view that slaughtering animals brutalised the human soul. 1674–Women’s Petition Against Coffee established in LondonSo it appears that Smith offered nothing that was not “in the air” and of necessity prophetic on this subject. It is also related that Smith correctly predicted that Whitney would find a boat he was told to look for it, and it is added that “instances might be multiplied, if necessary” of other correct predictions by Smith. These two predictions are reminiscent of two Biblical prophecies by Jesus: the seeing of Nathaneal under the tree, and the finding of the man carrying a jar of water. The latter is actually seldom seen as prophetic — most commentators think Jesus had things arranged in advance, and one might suggest that Smith often did, too, and that perhaps some took these as prophecies (while Smith may or may not have intended them to be). The first instance above, if true, might represent genuine prophetic insight — or something unusual at least. Lindsey’s next entry turns in part upon certain internal Mormon doctrines beyond our scope, as well as an understanding that Smith restored the doctrine of baptism for the dead (but see Ch 4 of my book, The Mormon Defenders). However, he also interprets a prediction that “the hearts of the children shall turn to their fathers” as fulfilled in genealogical research. Did Smith predict a trend, and was J. F. Smith right to see a fulfillment in the advent of genealogical research? Not really. Normally the advent of societies and organizations and laws merely codifies and makes more formal what the people as a whole already practice. Moreover, few, if any, of these societies, organizations, or laws were put together for any purpose relevant to Mormon baptism for the dead. As such the claim of fulfillment for this prophecy cannot be made without further evidence of rampant genealogical indifference before Smith, and more relevant interest thereafter. Lindsey next cites a prediction by Smith that stakes would open in major cities like Boston and New York (which they did, in 1962 and 1934, respectively). Like several predictions above, this one had the nature of one able to be fulfilled by determination of the Saints themselves. Given the Biblical precedence for the slaying of prophets (1 Kings 19, Matt. 23:31-34, Acts 7:52, Rev. 18:24), and Smith’s prior troubles, this may be prophetic insight — or just a natural understanding of his likely fate. The portion about going to Wales could be genuine insight, or a self-fulfilled prophecy. Whether the aspect of Jones surviving is of any note cannot be determined without further knowledge of why Jones was there in jail. Lindsey says that Jones’ life was “clearly at risk” but does not specify further. In D&C 100:9-11 great things were predicted for Smith’s companion Sidney Rigdon as a spokesman. This, like many above, may be genuine prophetic insight or a matter of willful fulfillment by Rigdon. Turning from prophecy for a moment, Lindsey reports and instance in which Smith healed a woman named Mrs. Johnson of a “lame arm” which she could not lift over her head. As with healings of similar nature by modern faith healers such as Benny Hinn, this is a claim that should be taken with caution. 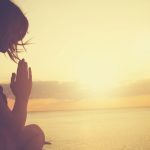 The majority of Jesus’ healings (a man born blind, for example) are of conditions of a far more serious nature and that are quite clearly organic. We would classify this healing as something not useful as solid proof of Smith’s abilities without further data. This if true might be taken as a genuine prophetic insight, and if collected with others that could be definitively classed as such, might be useful as proof of Smith’s prophetic abilities. However, this is so far only the second such instance we have found. A few more would be needed to regard this sort of fulfillment as more than coincidence. While jailed, Smith prophecied to a man named Stephen Markham, who was to be a witness on his behalf, that if Markham got up early and left, he would get safely home. Lindsey notes that Markham followed Smith’s advice and got home safely in spite of pursuit. With that kind of fear implanted, and with Markham presumably familiar with the territory (and the mob having no real resources to track him), this seems less like a prophecy and more like a perceptive observation blessed with an added motivation. Next spring let them depart to go over the great waters, and there promulgate my gospel, the fulness thereof, and bear record of my name. Let them take leave of my saints in the city of Far west on the twenty-sixth day of April next, on the building spot of my house, saith the Lord. Fulfilling the Lord’s instructions at that time seemed impossible. In fact, enemies of the Church learned of this revelation and were determined to keep it from happening. Mob members in Far West declared that any Mormons showing up in that town near the assigned date would be murdered. 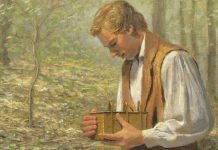 In spite of such threats, the members of that Quorum managed to enter Far West just after midnight on the morning of the 26th of April, where they laid the cornerstone for the temple, ordained two new apostles and other officers, sang a hymn, had a prayer, and then departed in accordance with the instructions they had from the Lord. This is another case where we might suspect a willful fulfillment of a prophetic word, the danger notwithstanding. One might note that there appears to be no prediction by Smith as to whether the 4/26/39 activity would be successful; in content this amounts to an instruction, and even if the Quorum had been driven off or killed, it would seem that the prophecy would still be fulfilled. One would also like to know how many mob members there were in Far West and how many were in the Quorum, and whether anyone would have expected an entrance just after midnight, and how long the entire process took. In short it is far from clear that this was the risk suggested, though further data may prove that it was. 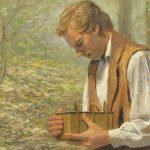 In conclusion: The data is simply insufficient to grant that Joseph Smith was capable of genuine prophetic insights. Nor would any actual prophetic insight, if it were there, indicate he was receiving his insight from God. 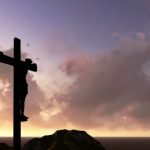 This article was republished with permission from Tektonics Apologetics. Next articleWhen And What Time Was Jesus Born?